Everyone has a little lunch story to tell and in modelling the relatable, funny and moving on-screen tales of the TV series, the Little Lunch App paves the way for classrooms to tell and share theirs. Designed to engage classrooms with student focused learning that integrates new technologies, the app supports students to create, deliver and share their own Little Lunch inspired episode, using their tablet device. In Stage 1, users are guided through a series of steps that help them establish their story - Who is your main character? Take a picture of them. Who stars in your film? Add their names to your credit roll. Where did your story take place? Use your finger to draw a picture of the place that best represents your story. In Stage 2, the user eats their way through their ‘story arc’ inspired lunch box, filming 5 scenes that make up their ‘little lunch’ story. With each bite, they’re given the option to place their film in the past or present, to use ‘natural’ sound or a voice over – helping the user to understand the basic structure and principles of storytelling, whilst encouraging them to be creative and play with traditional time and narrative structure. When both stages are complete, the app magically stitches together the entire user generated content into a personalised short movie that replicates an episode of the original Little Lunch series, ready to be shared. Use of the Little Lunch App in schools should be in accordance with each school's Cyber Safety policy. Videos created using the app are by default saved locally to the device’s ‘Camera Roll’ and are not publically viewable. However, if schools with the necessary parent permissions wish to share student videos online it should be in accordance with the school's Cyber Safety policy. 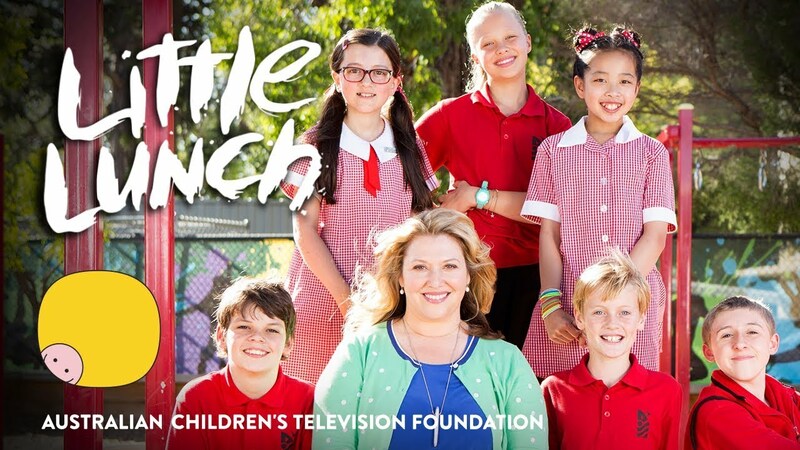 Little Lunch is a mockumentary comedy series that takes place during fifteen highly significant minutes of a child’s life; that of snack time in the primary school playground.